Our year end accounts have been completed and we can confirm that the income of Little Stars from all sources during our first year of operation amounted to £35,366 of which £15,000 has been put into a deposit account towards the new clinic on the West Bank. This is amazing support for a new charity and we are deeply grateful to everyone who has contributed to Little Stars through donations and volunteer help. Purses are tightening throughout the world as the global economy changes but we trust that we can reply on your continued support in the future. Our focus during the last month has been on getting the new East Bank Distribution Centre up and running. First, the whole area was cleaned and then the small office area was painted. We have not painted the storage area as we are unsure whether we shall be there long term but once we obtain a long-term lease then we shall paint the entire area so that it is bright and cheerful. The outside of the Centre will be painted this month and the old’ Dairy’ sign removed making the Centre easier to identify. 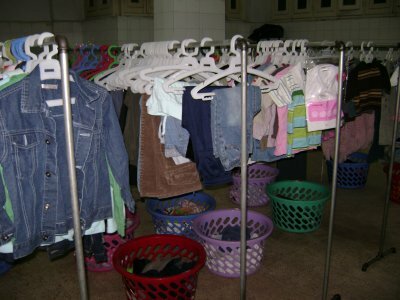 As a start to organising the Centre, we had six steel clothes racks made on which we could hang good quality children’s clothes. Thanks to all our supporters the racks are nearly full. We also have baskets of baby clothes that were too small to put on hangers. 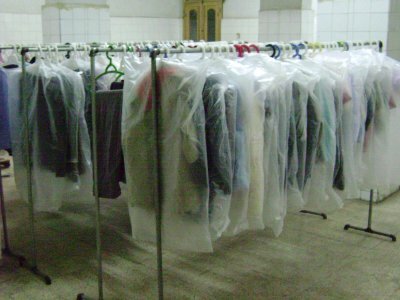 Most of the clothes are suitable for an Egyptian winter rather than a summer, and will be distributed when the weather turns colder. New school uniforms, bags and shoes will be bought and added to the collection ready for the start of the school year in September. 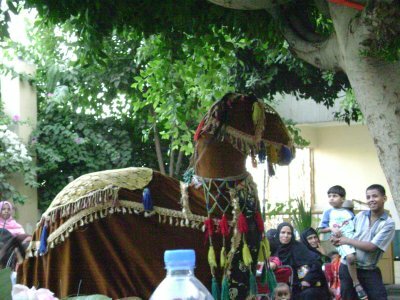 The clothes had been spread about various locations in Luxor and we hired to donkey cart to collect it all and take it to the central point. It was only then that we realised just how generous everyone had been. The next thing to be bought was fifteen wooden pallets which were needed to keep all food stuffs off the floor in case there was ever a water leak. These were recycled pallets that had been used for the transport of ceramic tiles and were very inexpensive. They were ideal for what we needed then for. We have given ‘before’ and ‘after’ photos below to so that you can see the changes. Once the pallets were in place we had own food stock delivered. 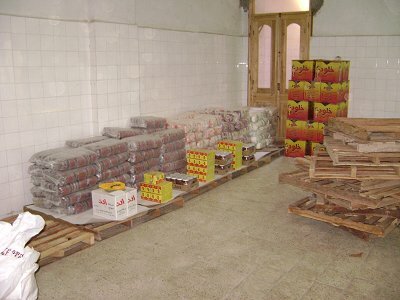 Quotations from various suppliers on the cost of food items suitable for inclusion in food parcels had been obtained from Luxor and from the town of Qus which is north of Luxor. 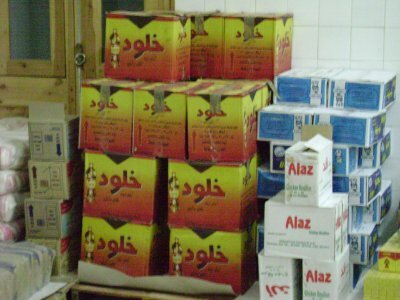 As food prices are still rising at an alarming rate, especially the price of cooking oil, we decided to buy sufficient stock to last us several months at the lowest bid, which was from a Luxor company. When these items were delivered the Centre really began to take shape. For security reasons, arrangements had been made for all the food parcels we buy through the Footsteps of Mohammed Association to be delivered directly to the Centre. 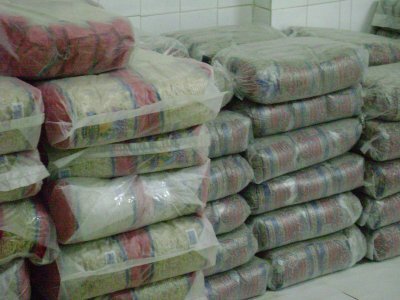 Once they were delivered to us, preparation was made for immediate distribution to where they were needed. The first place visited was la Galta on the West Bank. Khaled, our Needs Assessor, supervised the distribution of the bags and made note of people who were in desperate need but were not able to get any help as their papers were not in order. Parcels bought through the food bank can only be distributed to those specified on a Government list; people not on the list are not entitled to assistance. This can be tragic for widows with small children. It was the first time that Little Stars had complete control over who we gave own bags to and Khaled was able to give bags to those who obviously needed them. While out and about with the food parcels, our Administrator was able to catch up with the little girl who had been abandoned by her own family and was being cared for by various families in her village. As she had no papers she was getting no official help at all. We are now able to give her food parcels each month which she can pass on to the neighbours who feed her. With greater contact with the villages, the need for wheelchairs became more apparent and so a stock of wheelchairs was bought for the Centre so that we did not have to keep anyone waiting unnecessarily. The first of these went to a 6 year old girl whose father had carried her in his arms since birth. This was acceptable while she was small but was becoming very difficult as her weight increased. The little girl was very upset with the burden that she was placing on her father. The simple wheelchair has made a great deal of difference to their lives. 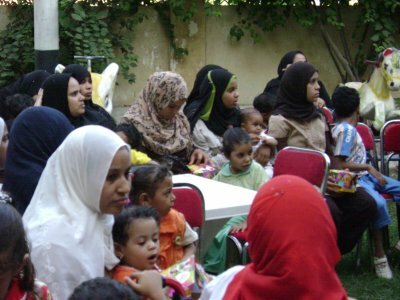 As a treat Little Stars representatives were invited to a children’s party at Karnak Charity Hospital. 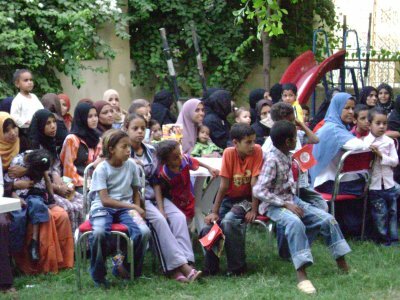 The party was arranged by supporters of the Hospital and children from the Little Stars clinic and their siblings were invited. It was a great success. McDonald’s Happy Meals were bought for all the guests although none were eaten by children. All of the food boxes were carefully kept and taken home as a prize to be eaten later. 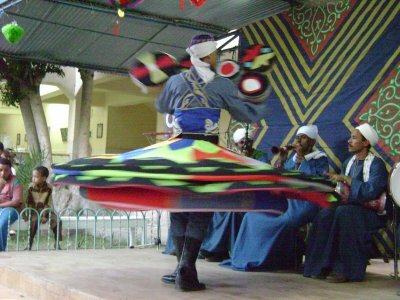 As entertainment there was a dancing pantomime horse and a whirling dervish. The children and their mothers were in their very best clothes and on their best behaviour. It was enjoyed by everyone. When our new clinic opens we hope to use this party as an example and have a party for all the children in the clinic’s neighbourhood. This will not only spread joy but will raise awareness of the new clinic, its facilities and what it aims to achieve. We are still waiting to hear from the Lottery Commission about our bid for the new West Bank clinic but in the meantime we are searching for new premises. This is not an easy task as we need a ground floor area, preferably with a garden, and ground floor areas are traditionally taken up by shops which, of course increases the rent. However, we are sure that we will soon find an ideal spot on a service car route and near the hospital. Everyone please think positive thoughts about the bid. In the future we may have the finances to construct a purpose built multi-purpose centre. Several large boxes of food were sent taken the good Samaritan Home by two of our supporters again at the start of June. Meat is comparatively expensive in Luxor and the gift of a large batch of chickens and other food items was gratefully received by the staff and children alike. We are still supporting the Good Samaritan Home financially and aim to provide them with transport during the coming year if finances allow. This was one of our stated projects when we first began and it will be wonderful to see this aim achieved. With you we can do so much.